The common short answer to ‘Is white bread healthy?’ is no. But some new study holds different opinion. Read to make your own decision. Undoubtedly, one of the most popular bread choices, white bread, is a well-known favorite. It is made with refined grains. The 2010 Dietary Guidelines for Americans suggests whole grains make up half your grain consumption. 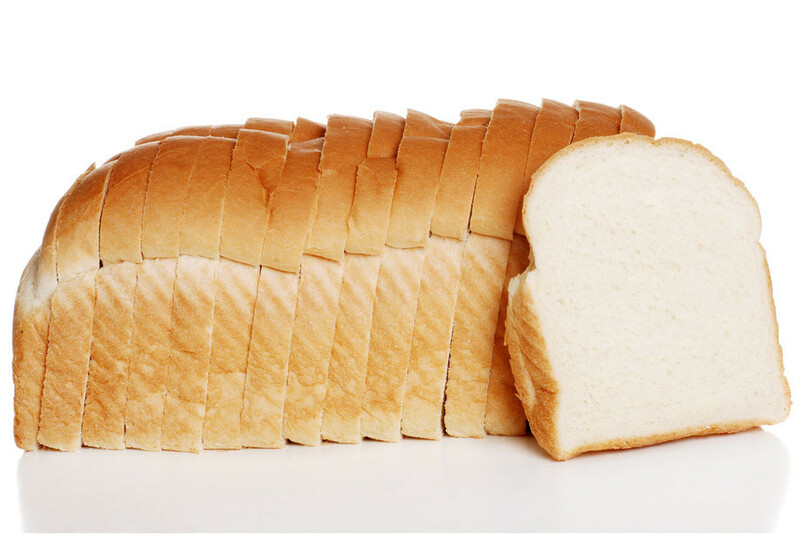 White bread has fewer nutritional values and can increase your risk for some health concerns. Really? The common belief is that white is not good for health. The following are the reasons. This flour, which is the same as all-purpose, has the bran and germ removed before being processed. This will make the flour last, but it takes away valuable nutrients. Some nutrients can be found in enriched flour longer, but it still isn’t as good as whole-grain. American Journal of Clinical Nutrition published a 2010 study that showed a diet rich in low-fat foods, and full of refined carbs increased your risk for obesity, heart disease, and diabetes more than eating a diet with lots of saturated fat. White bread is full of refined grains, and very little fiber. Most fiber in grains comes from the germ and bran, which have been removed in refined wheat. Fiber may lower your risk of obesity, high cholesterol, heart disease, digestive issues and diabetes. Fiber will also help you feel full from less calories. In 2004, the American Journal of Clinical Nutrition published a study noting the decrease in fiber intake, combined with the over consumption of refined carbs, was likely a contributor to the rise of type 2 diabetes in America at the turn of the century. Is white bread good for you? No, in the case of glycemic index. Your glycemic index is a number used to measure your blood sugar levels when you consume a certain food. White bread is a food with high glycemic numbers. It is so high; it can be compared to eating sugar. Eating foods with low glycemic index numbers is beneficial to diabetics. This can also be very helpful for those who are looking to lower their risk of getting type two diabetes or lose weight. If you like the flavor of white bread, you can try white whole wheat. This will have nutrition on a level with whole wheat, but a flavor that is more white bread flavor, because of what kind of wheat is used. You can also get bread that is made from whole-grain flour and mixed with refined flour. Choose one that has fiber added and you’ll up the health benefits. Is white bread good for you? Some say it is not bad. Cell Metabolism, the academic journal, just published a study indicating different people have different blood sugar reactions to eating whole wheat bread or white bread. Moreover, the story indicated that there wasn’t a significant difference across the different bread types. When they measured wakeup glucose levels, cholesterol and fat levels, kidney and liver enzymes as well as other essentials such as markers for inflammation damage, no significant differences were noticed. The people in the study had their microbiomes monitored before, during and after the study and they showed no significant change. Upon close inspection, there was change, but the results were split down the middle. This averaged out well across the population. About half of those in the study saw a blood sugar spike while others saw different changes. The conclusion of the various studies was that whether white bread is good for you depends on the person. There are differences in how the body processes white and wheat according to the individual. If you get rid of white bread entirely, you may not be doing what’s best, or it may be just right for you. There are several studies illustrating why you should avoid grains when you are looking to lose weight. If you are trying to be healthy, here are a few replacements. You may discover it’s a little harder to find, but in the end, it will pay off. It is much healthier than the more processed kind. You will get more fiber when eating rye which will help suppress your hunger. It is also considered a better choice because it can lower your risk of diabetes. This is because it doesn’t spike your blood sugar and it has plenty of minerals. Rye bread has a nutty, rich flavor, which helps you lose weight, and increases energy. Spelt is a cousin to wheat and has plenty of nutrients along with a nutty flavor. Because it isn’t as highly processed, there are less reports of intolerances and allergies. This bread has more fiber and minerals such as magnesium, phosphorus, manganese, copper, and many vitamins. Spelt sourdough bread is a preferred option, especially for those who want something that tastes similar to wheat bread. You may need to look at specialty bakeries for this bread. Wheat-free breads are those that are made of a mix of rye and spelt as well as other grains such as oats, millet, barley, quinoa and amaranth. Check for whole grains that don’t have added chemicals, for the healthiest options. Selecting one of these options will provide more nutrition and help promote health. Most bread these days is less healthy than people actually believe. It is nutritionally devoid and makes your blood sugar spike, promotes hunger and fat storage. Bread may play a significant role in the obesity epidemic. It’s not one bread versus another bread but more of an overall wheat problem. There may be many people who struggle to lose weight because wheat promotes hunger, energy problems and weight gain. Traditional rye, whole grain, spelt and wheat-free breads are a healthier option. It may take a bit more effort to find them, but your health will thank you. You can always put a few loaves of your favorite in the freezer, so you have it later. It’s important to remember even healthy breads are dense, so should be eaten early in the day and limited. Many people see a large difference when they decrease their grains. Can Cranberry Juice Flush Out Kidney Stones?